Yikes! It’s starting to get really difficult to catch up on blog posts…I find myself blogging during sessions and hoping for the best! This morning I continued my social exercise activities with the #SQLDev community. 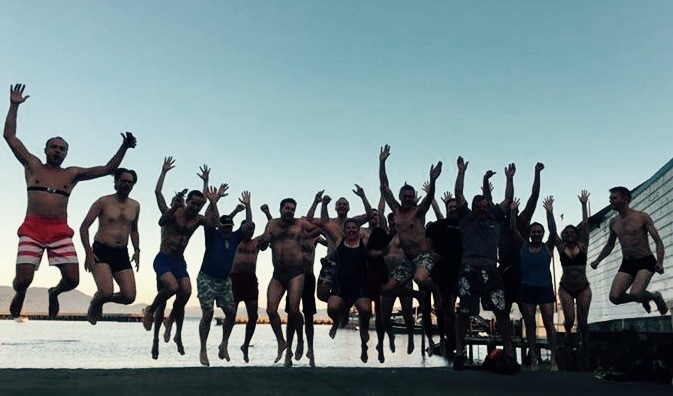 As the last part of their “OOW Triathlon” we all went and swam in the ocean. And yes, it was crazy, and yes, it was cold. But due to the unexpected warm weather over the past few days it wasn’t as bad as I anticipated. We started out with an obligatory picture – this photo op included multiple takes of us jumping. Then we jumped right into the cold water. Note that most of us chose not to “swim” but did kind of a “dip”. 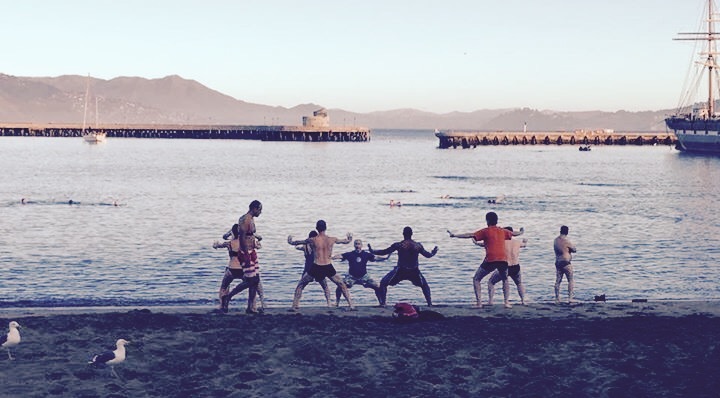 Then a group of us decided to warm up on the beach with an abbreviated chigung, led by the awesome Kent Graziano. This was both a breathing and strength exercise and it did help to put some color back into our toes. After getting cleaned up, I set out for my full day of booth duty mixed with several fantastic EPM/BI Cloud sessions. 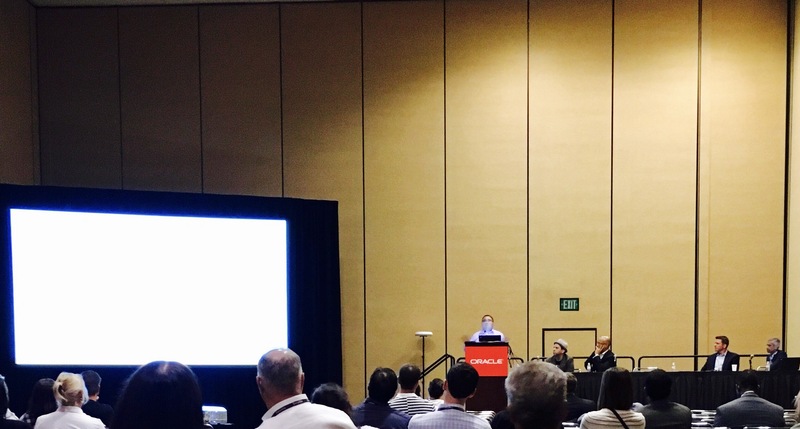 The first session I attended focused on Data Visualation – mostly the Data Visualization Desktop tool with some DVCS (Data Visualization Cloud Service) thrown in. Mike demonstrated how simple the DVCS/DVD tools are to use (which I agree with – I’m presenting my own DVCS efforts later this week and it took less than a day to spin up all of the visualization screens), using Rugby as the entertaining example. It was standing room only for this session and we got quite crowded in the back. The recent wave of data visualization cloud tools (BICS and DVCS) have pretty common use cases that apply to a wide range of customers. I wasn’t surprised to see the full room. Something to think about: where does storytelling take over and where does BI take over? After some booth duty, it was time for lunch. 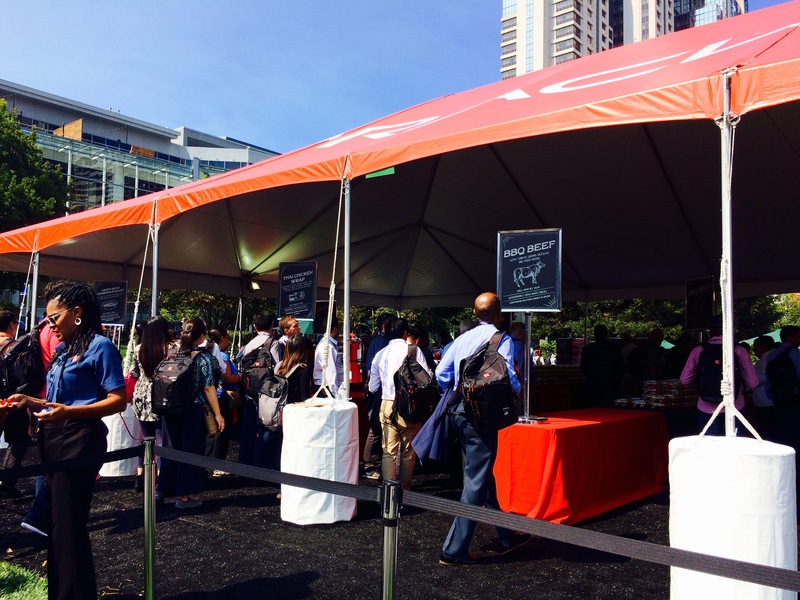 For the record, I was told to avoid the OOW food. But I was curious. How do you feed 50,000+ people? I heard that there would be an estimated 80,000 at OOW this year so I wanted to sample the quality of the food. The food is located way into the entrails of Moscone North. They have tents and water stations with multiple boxed lunch options setup. In addition, a live band. Since the weather was decent, most folks sat out at tables in the sun. 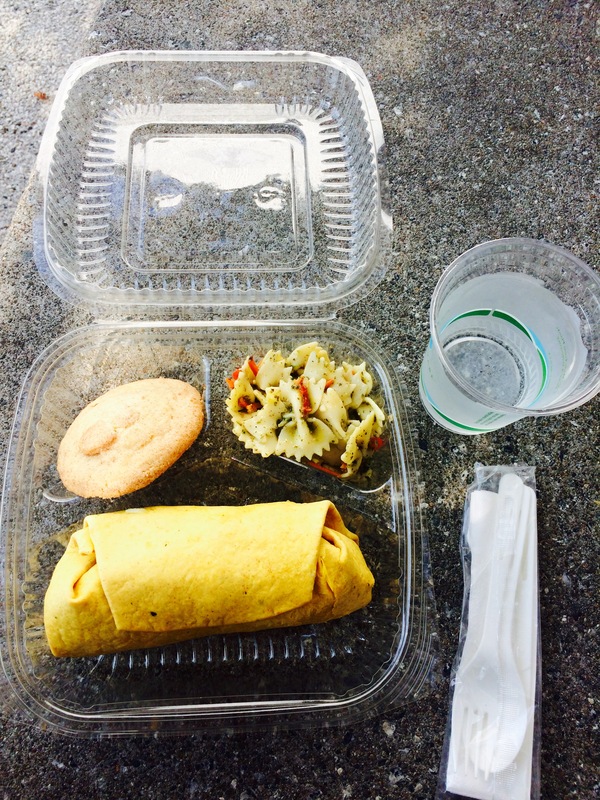 I found a bench seat in the shade and took stock of my first OOW lunch. So what was the verdict? To feed tens of thousands of people, there must be a compromise on quality. It is what it is. Tracy McMullen is a big fan of HPCM and is working with the tool currently on an engagement. We can’t wait to see the cloud version. Some time after that session, I had my very first interview with Nigel Youell. Nigel is the Senior Director of Product Marketing for EPM. We did a very quick video interview on EPRCS. The video will be released after OOW. The next session I attended was a Customer Panel on FCCS and featured 2 customers, including one of interRel’s. FCCS is an interesting product – it is a cloud-only solution with no on-prem sister product. It is an enterprise-class consolidations solution built upon the EPBCS platform. Both customers went into the reasons why they chose FCCS as their solution. I always try to assess the customer landscape when I hear these types of presentations to see what common conclusions can be drawn. Why did Flamel choose FCCS? Why did New Flyer choose FCCS? The New Flyer FCCS implementation is still currently underway. I will have more notes around EssCS later in the week, as it is one of the sessions that our team is presenting. The final session I attended was a general session on EPM. All of the key EPM Product Management heads presented and I was impressed at what I saw and learned. Some of what was shown had only been theoretical directional statements until this point. The first part, presented by Deloitte, talked about the digital disruptions to the office of the CFO. Cerebral topics like cognitive computing (artificial intelligence) and in-memory computing were discussed. Then Matt Bradley presented “EPM Today”. 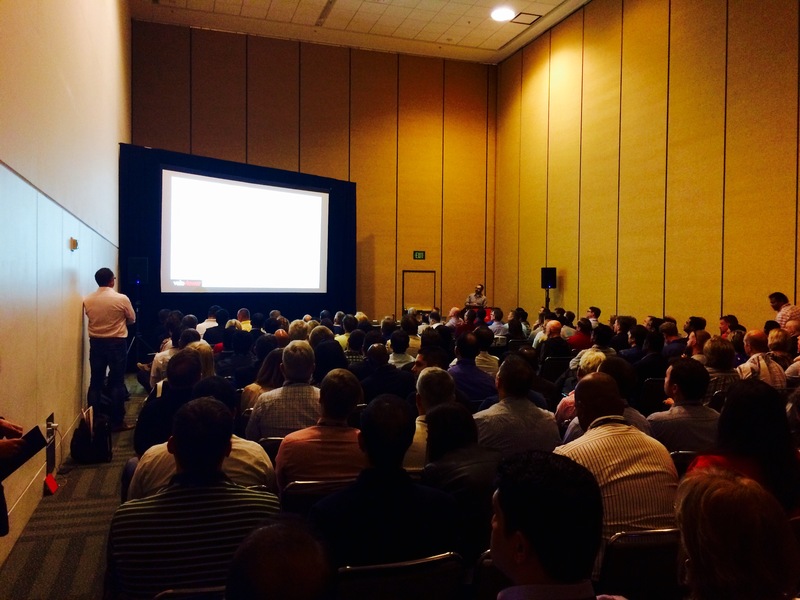 This is a great session that I’ve seen before that talks about the state of EPM and what customers are focusing on. 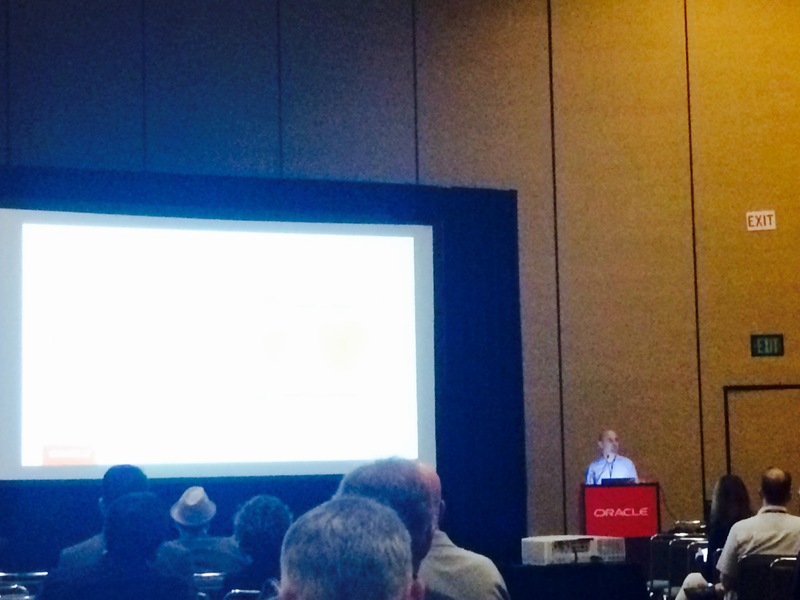 The standout portion of this session was what Hari and the EPM Product Management team presented. 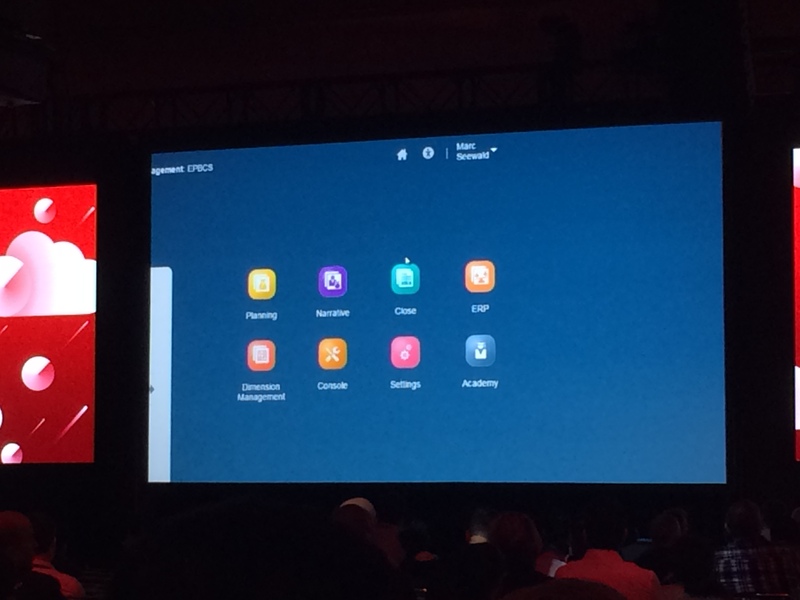 This included showcasing a pre-recorded demo of an EPM Cloud solution of the future. Note that many of the elements shown exist today, but there were a few new impressive curveballs thrown into the mix. 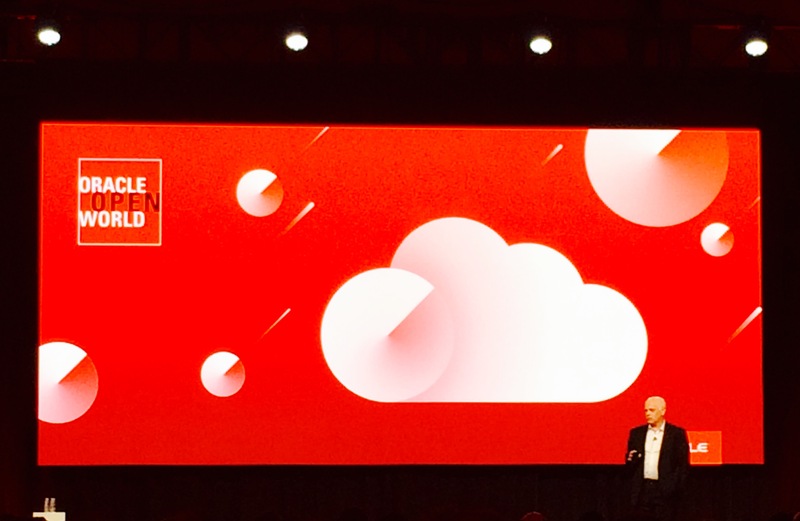 What was shown is a vision of EPM Cloud that I’ve been envisioning and hoping for. It was an integrated suite of solutions that work together from a single interface. This vision in its totality is not available right now, but the outstanding components will be revealed piece by piece over time. SWFP – Strategic Workforce Planning. This is a new concept for legacy Hyperion Planning folks. A module of its kind doesn’t exist in the on-prem world. It’s focused on talent acquisition and management. The SWFP component currently exists in EPBCS and is part of the Workforce framework. The rest of my night was filled with various social engagements and important networking. I stayed out way too late. 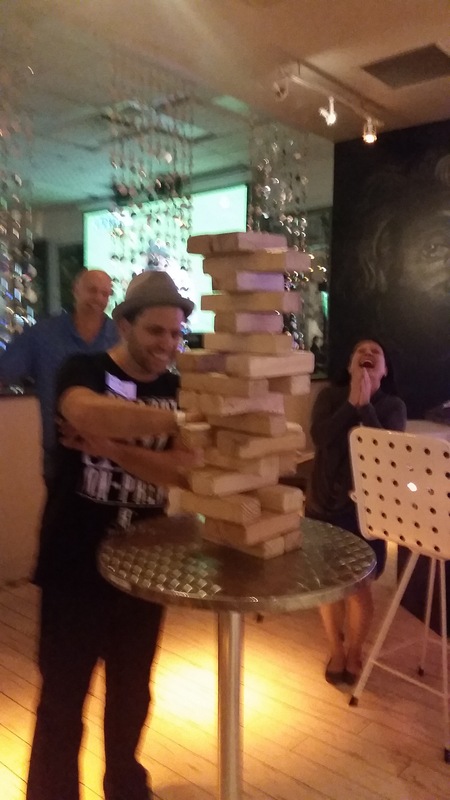 At one point I competed against fellow interRelites in a jumbo version of Jenga.